MANILA - The controversial Dengvaxia vaccine is not appropriate to be used in the country's immunization program, a public health expert said on Tuesday. Dr. Susan Mercado, a former government health undersecretary and World Health Organization Regional Office for the Western Pacific official, questioned the government's fast-tracking of the procurement of the dengue vaccine. "This is not the vaccine that the Philippines needs or wants. We want a vaccine for our people that can be used for everyone. This vaccine can only be used for everyone who has had dengue," Mercado told ANC. "And to find out who has had dengue, you have to do those blood tests. So why did we jump into this program for something that is not really appropriate for our setting?" Mercado added that the Health Secretary may request for exceptional approval for a drug or vaccine in the event of a crisis or an emergency. "To begin with, Dengvaxia did not get an exceptional approval from the Food and Drug Administration (FDA). This was waived. At the level of the FEC, an exceptional approval was also requested and that was the question of Sen. Gordon yesterday," she said. "The Formulary Executive Council (FEC) members all said it was rushed. So from the perspective of those who were involved in it, minadali," she added. 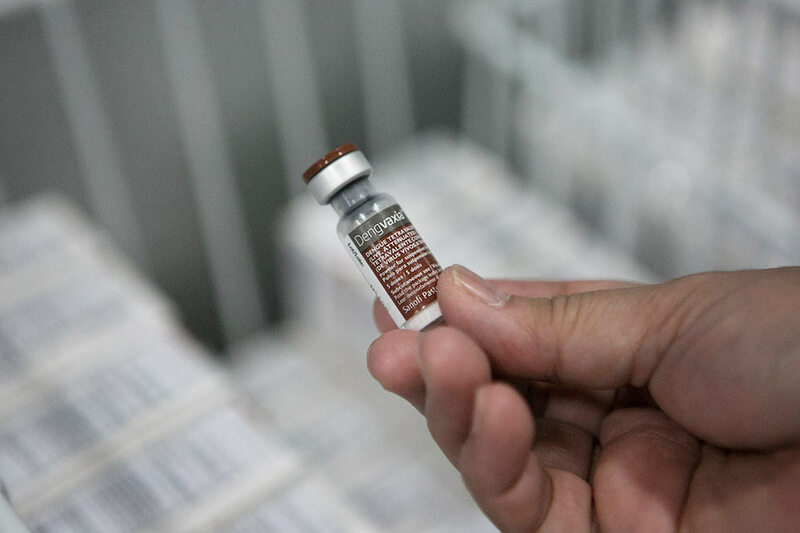 A recent Reuters report revealed that the FEC urged caution over the vaccine because Dengvaxia's safety and cost-effectiveness had not been established. "Our scientists in the FEC already knew. We have brilliant Filipino scientists and they gave very sound advice. The thing was, the funding for this Dengvaxia rollout was not in the General Appropriations Act, otherwise, it would have had the benefit of being discussed in Congress," Mercado said. House Committee on Health chair Quezon Rep. Angelina Tan earlier said the source of the budget for the dengue vaccine remains unclear as DOH resource persons who appeared at House committee hearings on November and December 2016 had inconsistent statements. The Senate on Monday began its legislative inquiry into the DOH's procurement of Dengvaxia from pharmaceutical giant Sanofi Pasteur while the House is set to reopen its investigation. The DOH earlier this month suspended its vaccination program after Sanofi Pasteur admitted that its Dengvaxia vaccine may cause "more cases of severe disease" if given to those who have not had the mosquito-borne illness before. The Philippines was the 1st country in Asia to approve the vaccine for individuals aged 9 to 45 years old in December 2015. The government spent P3.5 billion to purchase Dengvaxia for one million public school children in regions reported to have the highest incidence of dengue in 2015. As of November, the vaccine has been given to about 830,000 children in Metro Manila, Southern Luzon, Central Luzon and Central Visayas, per government data. Mercado, meanwhile, told parents not to lose faith in the government's immunization program. "Please have your children vaccinated. Wag po kayong matatakot sa mga bakuna ng DOH. Itong Dengvaxia lang po ang nagkaroon ng problema. We don’t want the immunization program to suffer because of this," she said. "We have to rally around the DOH because DOH is also the institution that will take us out of this nightmare. No one else is gonna help us get out of this."